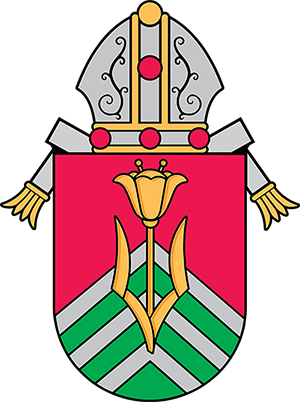 Parish Council – We oversee the spiritual and social operations of the Parish. We meet as needed. Catholic School Board – We serve in a leadership role to assist pastor and principal in programmatic, financial, and marketing aspects of school. We meet the 2nd Monday of each month at 6 p.m.
Knights of Columbus Council 12195 – We are a fraternal benefit society which supports our church, school, and community. We meet the 1st & 3rd Mondays of each month at 7 p.m.
Ladies Auxiliary of the K of C – We support our church, school, and PSR programs. We meet the 4th Monday of each month (except Jan., Feb., June, and July) at 7 p.m.
RCIA – Rite of Christian Initiation of Adults – We provide classes to prepare for full initiation into the Catholic Church. We meet from September to March. Parish School of Religion (PSR) – We provide religious instruction and sacrament preparation to all parish students attending public schools. We meet each Sunday from September to May from 9:20 a.m. to 10:20 a.m.
Rosary Altar Society – We honor Mary with the Rosary and Miraculous Medal Novena on Wednesday evenings. We supply altar linens and other liturgical items for the parish. Camillus Society – We distribute the Eucharist to the home bound on a weekly or monthly basis. Prayer Ministry – We pray for people in need of prayers (sickness, personal, family problems, etc.). Cub Scouts – We provide a program for boys in grade 1-5 that builds character, trains them in responsibilities of citizenship, and develops personal fitness. We meet on Tuesdays from 6:30-7:30 p.m.
Funeral Luncheon Committee – We provide side dishes, desserts, and workers for funeral luncheons. Infant of Prague Society – We prepare for the yearly devotion novena held on Monday evenings. Maintenance Committee – We coordinate physical maintenance of parish and school facilities. Church Cleaning Crew – We focus on the light cleaning of the church as needed.